PhotoMix Collage for Windows 10 - product to combine different photos. With the help of a special constructor, it allows you to combine images, stylize them under certain themes. Suitable for creating promotional offers, decorative elements, ads. It has the ability to save finished works in various graphic formats, instant print, sending by mail. 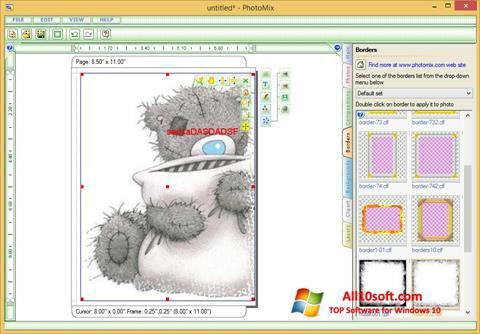 Contains the basic tools: adding text, decorative elements, frames, layouts. Can resize photos, flip them, experiment with the form. You can free download PhotoMix Collage official latest version for Windows 10 in English.